It was about noon when I arrived at the hotel. Sadly, my room wasn't ready yet, so I had about an hour to kill. I wasn't really hungry, but I thought I would have some lunch anyway. 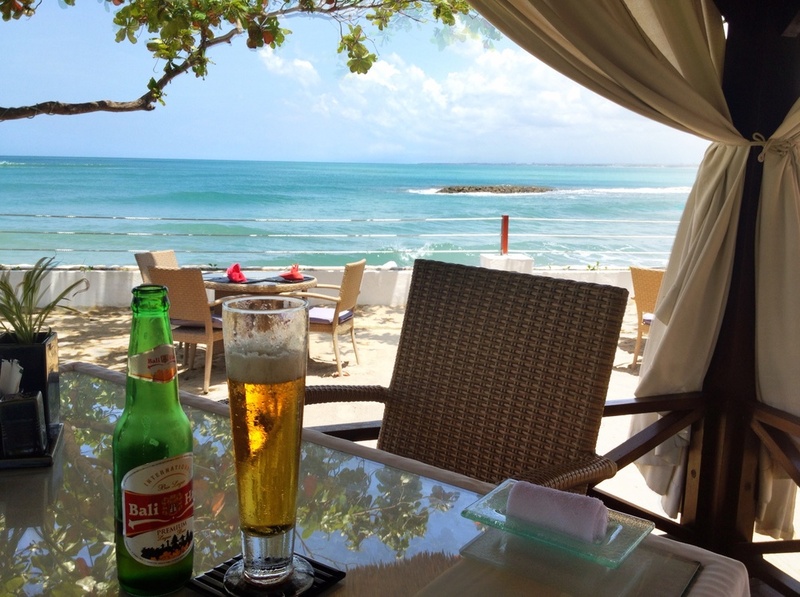 The hotel had a really nice sushi/noodle restaurant, right at the edge of the beach, so I sat down, ordered a beer and some sushi and tried to get used to the heat. A panoramic view of the hotel I was staying at in Kuta, Bali. The Discovery Plaza was a nice enough hotel. This is a panoramic view of the grounds. Lunch was pretty good, and soon I was able to get checked into my rom, and home for the next week. The room was actually pretty nice, a huge improvement over the hotel at last years event in Pattaya. I got unpacked and settled in, then decided to head to the beach to check it out. Lunch was pretty good - sushi and noodles on the sand overlooking the ocean. The beer was typical hot weather beer - nothing special. The hotel room itself was pretty nice. Recently renovated, and all the needed amenities. Sadly, it turns out the the hotel wasn't really right on the beach. It was more on a breakwater, but it was only a five to ten minute walk down the path to where the beach started. I wasn't really all that impressed with the beach. The sand was OK, if a bit course, and the water was really quite shallow for a long way out. I suppose it was good for the surfers, but it didn't make for great swimming. I played around in the waves for a while, then headed in before I managed to get myself burnt. After having a shower and relaxing for a bit, I headed down to the front desk to see if I could get someone to tour me around a little bit. I had been up for about 30 hours at that point, but needed to try and stay awake until later in the evening, to try and get onto a normal sleep schedule. With the time inference being so drastic, it makes it easiest to adapt to in some ways. I ended up hiring a driver for about three hours, and had him take me down to this big temple at the south end of the island. 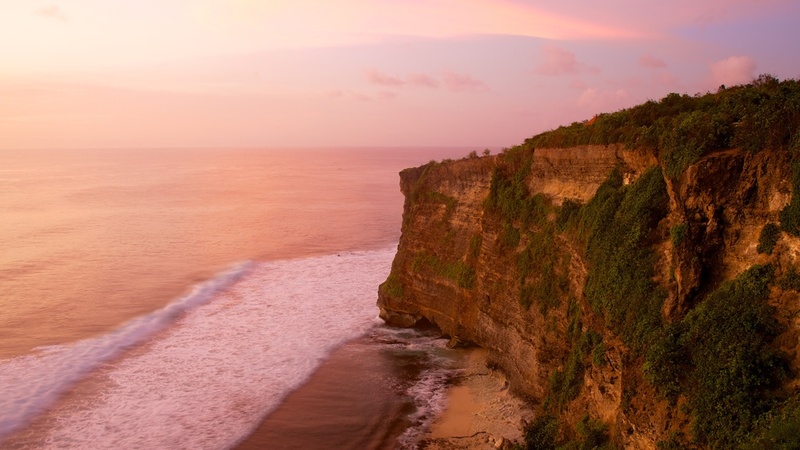 Pura Luhur Uluwatu is ideally situated to watch the sunset, and I was happy to have timed getting there right. 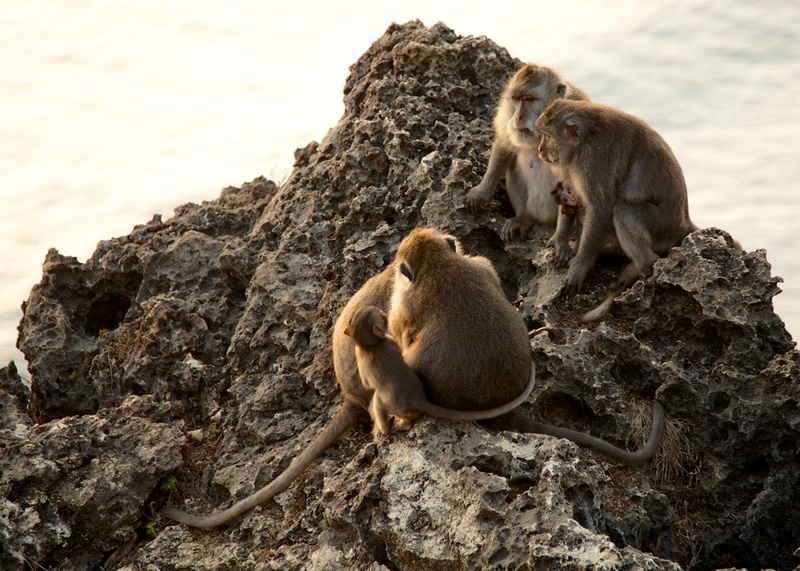 This temple is well know for their long-tailed macaques (monkeys), which are sacred to the local people. So they run around the place and cause a bit of havoc, trying to steal things from people. 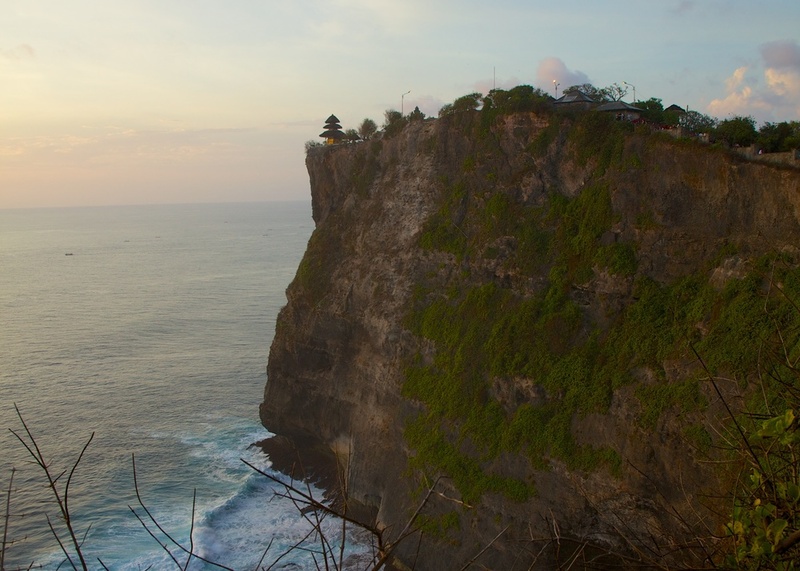 The temple is perched high on a cliff overlooking the ocean. It provides dramatic views, especially at sunset. 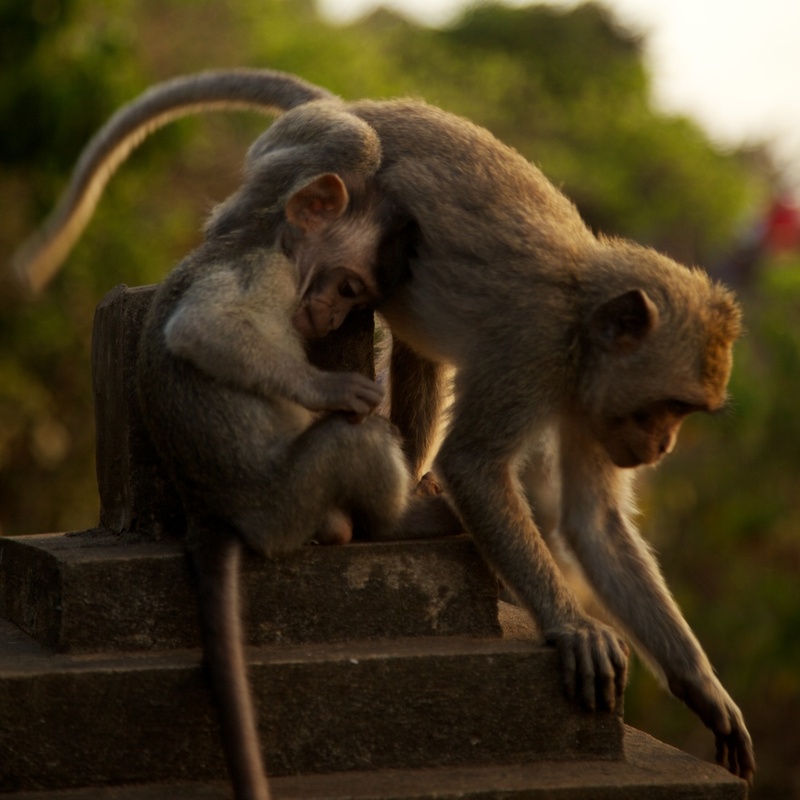 The monkeys were pretty entertaining. 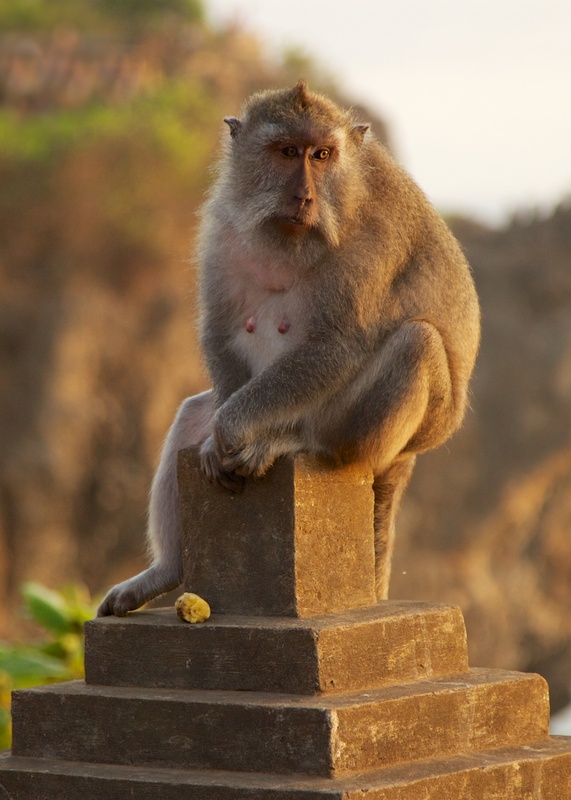 They do steal things from people, and there were attendants at the temple who's only job was to try and get back the items stolen by the monkeys. The temple is quite beautiful, perched up on the cliff high about the ocean. I wandered about and took some pictures, and generally just enjoyed the late afternoon sunshine. Once it got dark I headed back to the hotel, had some dinner and finally got to sleep. There weren't enough clouds to make it a spectacular sunset, but it was still pretty nice.